It is a very risky procedure which requires an enormous experience: if you harvest too earlier the wine would not get the perfect consistence and sweetness, if you are too late you are too late as simply it is. Since we are talking about real quality all good Tokaij are harvested by hand – like every other perfect wine. A lot of the work in this area reminds me to the harvest of German Eiswein (Riesling). During socialist times probably only traditional winemaking of Tokaij has been well-preserved and even protected due to immersive revenues in foreign currencies. Upon the end of 80’ies winemakers of this area hadn’t any reasons to be worried, but in the light of all post socialistic changes and challenges suddenly the Tokaji couldn’t get rid of a very old-fashioned imagine. It suddenly was a symbol of old times of which every younger person wanted to get away. A Tokaij became a part of Hungarian souvenirs rather than it was considered as one great winemaking heritage of a country in which winemaking exists probably since Romanian times. Culinary Hungary offers good, solid and hearty cuisine. Goose and also duck liver is very popular, offered in many more varieties as in France for example and simply is a fantastic reference to Hungarian cooking. There is nothing else better than a great Tokaji to combine to it. But let us be honest: how many times can you eat a paté or foie gras and drink some sweet white wine in times of diets, healthy organic green food and low-fat madness. The same applies for a heavy great creamy tort which is much better if you have a glass of cold sweet Tokaji than any coffee. Nowadays it is a commitment being decadent – which I can be if it related to food and wine. Many people can’t and therefore Stéphanie and Zsolt Berecz did the right step: they offer dry and semi dry – light – Tokaji! This is an amazing, but reasonable and very smart approach. 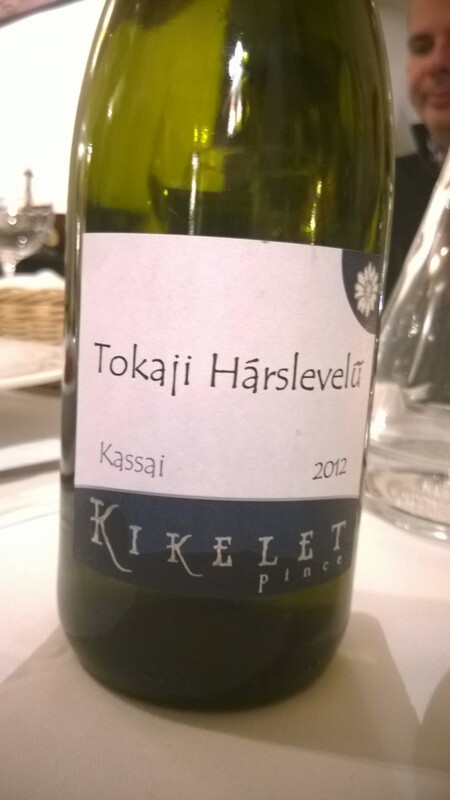 The first of those wines I recently tried is very easily named “Tokaji Hárslevelü”. Forget about the Hungarian language – this is a secret code of people once wanted to conquer Holy Romain Empire of German Nations before they became later on foreign speaking Austrians – “Hárslevelü” stays for the German word “Lindenblättriger” which is in some extent as unintelligible as the Hungarian wording. 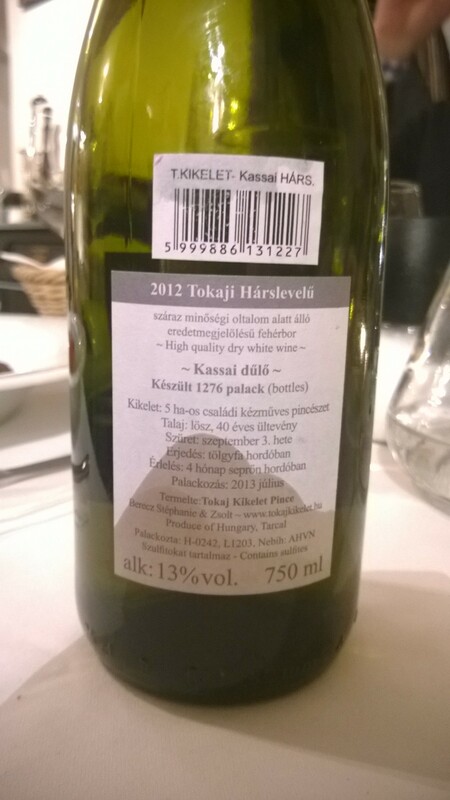 It seems there isn’t any international translation and since “Hárslevelü” does almost exists only in Hungaria – yes it is an origin Hungarian grape – I praise it as great and something real Hungarian. It isn’t easy to compare the flavor and taste of Berecz’s Tokaij. It’s a soft, smooth but characterful, simply special white wine. There is a kind of enjoyable bitterness along some moist-sweet aromas as gooseberry but also perhaps quince, apple and herbal hay. I certainly missed some more complexity and a longer stay. You can imagine the potential of this wine in general although I would risk to say it needs a bit more work while fermentation, maturation and vinification as I really believe the winemakers do a great job a their vineyard. You must drink it cold of course! If you want to test something really different, take this wine! It doesn’t fit to heavy meals I described above, it is rather something very delicious to farmers kind of appetizers as any kind of salads, may be smokes sweet water fish (tart etc. ), beetroot or light Leberwurst. The winemakers present themselves on an unfinished but sympathic webpage (http://tokajkikelet.hu/): a bit similar as this wine! Much more professional but not less sympathic is the webpage of the most engaged wine store in Hungary called Bortasasag which offers all variety of Hungarian wine. I love all of their wine stores. 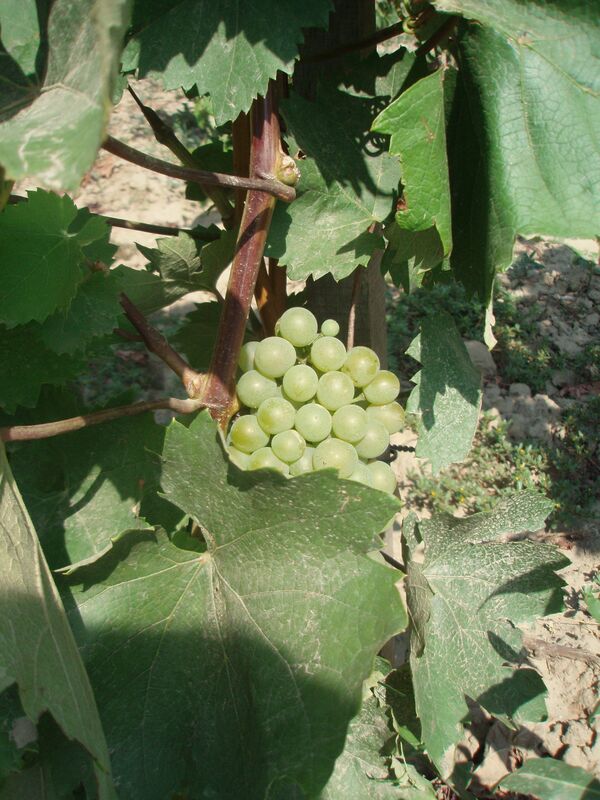 (http://www.bortarsasag.hu/en/wine/?filter6=kikelet_pince). Beautiful, and nice write up ! !